It's always a struggle to come up with quick and easy, or clever and imaginative ideas for your fancy dress costumes, so I'm here to help! I've listed a whole range of costume ideas which you can make yourself, plus prop making tutorials and fancy dress inspiration in a variety of themes with varying levels of difficulty. Don't worry if you can't sew or you've never made anything before, because there are plenty of ideas that don't require much more than cardboard and sticky tape, or just toilet roll! 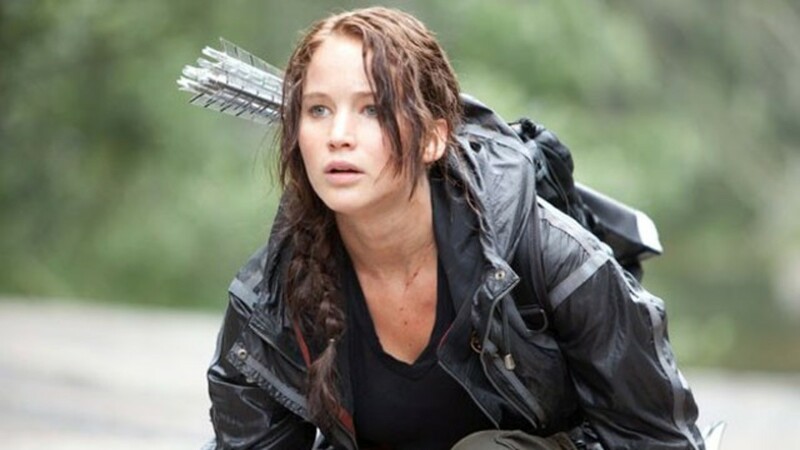 - Actors or actresses in the roles they are famous for e.g. Audrey Hepburn in Breakfast at Tiffanys. - A certain time from the past - and dress like a certain group of people from that time e.g. a Tudor King, a Viking, a Roman, a caveman, a pirate, 90s raver or 60s hippy. And failing that, go through the dictionary for inanimate objects you can become! The lists below should also give you plenty of inspiration too, as well as ideas and help for DIY techniques you can use. Most ideas can be created with cheap everyday materials, methods and tools like: glue, tape, scissors, foam, paint, cardboard (a must-have), fabrics, Duct tape, paper mache, (news)paper, recycled packaging, plaster bandages, clay, faux fur and old/cheap clothes. You can also look at other more specialized materials on the market if you want to create more advanced costumes and props; such as electronics, resins, moldable plastics, latex and so on. This is one of my all-time faves because the execution is so perfect. Dress in the roaring twenties style. Very useful tutorial for making a giant foam head. 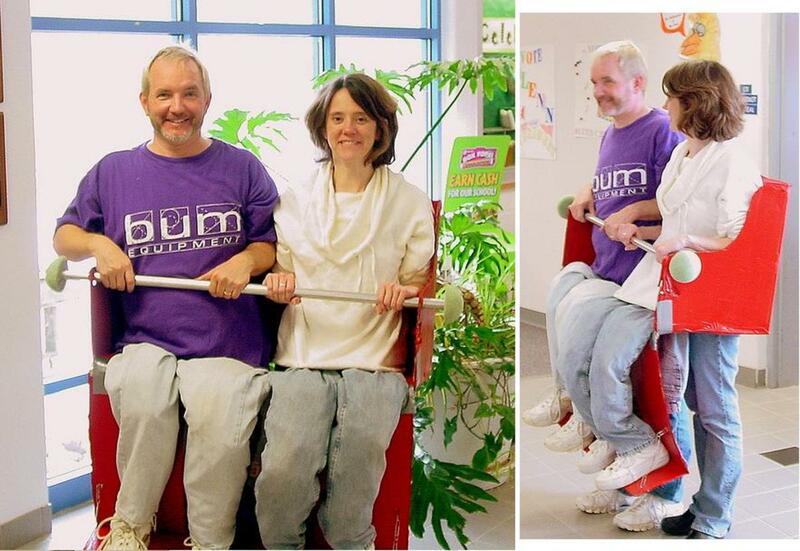 Such a cool idea for a pair. Fun ideas for making Steampunk outfits for the whole family. An amusing costume for fans of the popular books. Funny female costume with novelty tie and towel cape. Make a cute and instantly-recognizable costume. An original idea which is actually quite artistic. Photos showing the making of Lego Minifigs. Mary Poppins, a lumberjack, Flynn Rider, a gumball machine, popcorn and more! DIY tutorial showing the details involved in making the Disney dress. Easy felt costume which can be a dwarf or a gnome. Clever revamping of a plain grey jacket and sweatpants. Embellish a regular pink dress with a sewn feather collar and a fun hat. Birds of a feather wings in lovely colour shades. I love the Rosie the Riveter idea here. Clever and pretty costume using lots of crepe paper. Fabulous examples that you can try to replicate. Creative ideas like a beekeeper and a hungry caterpillar. Make OTT shapes in card, maybe of famous characters and people. Video tutorial for a swashbuckling outfit. Awesome costume which is surprisingly easy. Patterns for capes, plus advice on fangs, makeup and more. Make up tutorials as well as instructions on making a spooky costume. From the classic green witches to the Sanderson sisters in 'Hocus Pocus'. The original last-minute costume idea! Dress as a member of the undead, complete with really gruesome wounds...ew! Quick and easy to make, ghost costumes can actually be more varied than you'd think. Fancy dress info for everyone from little kids to grown-up devils. A classic costume accessory for fairies and cute girl's costumes. * 12 gauge wire; any galvanized steel or artistic wire capable of holding it's shape is suitable, and you could also use 14 gauge if you want something a bit easier to bend. * Synthetic woven mesh fabric such as organza, which is semi-transparent. * Any decorative embellishments you want to use such as fabric paint, glitter, ribbons, fur, feathers, sequin, incense sticks to make holes in the fabric etc. - Starting about 4" from the end of the wire, shape it with your pliers to create the upper part of one wing. It may help to draw your design out on newspaper beforehand to give you a template to work to. Also try and keep the wing shape flat as you work. - When you have shaped the wing, cut the wire about 4" from the end of your shape. - Repeat the same for process for the lower part of the wing, making sure once again you have a spare 4" of wire at each end. - Now use these 2 shapes as the templates to copy them. This will give you symmetrical wings consisting of 4 parts. - At this point you can spray paint the wire if you want to change the color to match your fabric for instance. 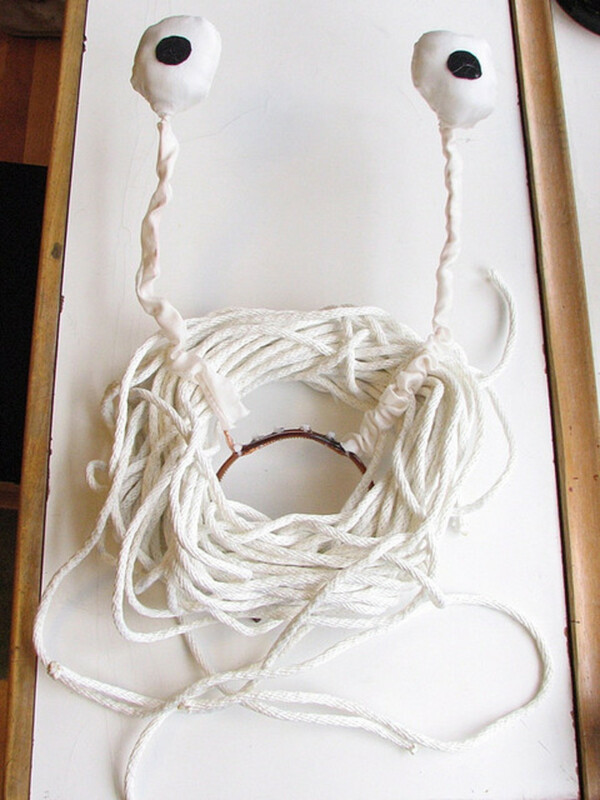 - Twist the 4" ends of the wire together for each shape to close the wire frames securely. - Before you start covering the wings in fabric, make sure that the wire frames lie as flat against your work surface as possible. - Cut out a rectangular-ish piece of fabric which can be folded over the first wire frame and leave a few inches to spare on each edge. It doesn't have to be too accurate, just make sure it's over 2 times the size of the wire frame. - Spread glue onto the top of your first wire shape and lay your cut-out piece of fabric onto the top so that it is flat and has no wrinkles. Be sure to position the wire shape so that it is on one half of the fabric piece only. - Do the same for each wire frame and then leave them to dry. - Flip the frames and fabric pieces over and now spread glue onto the tops and outside edges of the wire frames. - Fold each piece of fabric in half so that there is now a fabric layer glued onto both the top and the bottom of each wire frame, sandwiching it in between. Do this for all 4 wing sections and leave to dry. - Cut around the edge of each wire frame to remove excess fabric. You can re-glue any loose bits after this if necessary. - To tidy up the cut edges of the fabric you can carefully hold the flame of a lighter near to the edges so that they melt. Obviously try not to burn the fabric! Test it on the edge of some of the leftover fabric first to check it works on your chosen material. The fabric should shrink as it melts, neatening the edges and removing any loose threads. - Take the twisted wire section of wing part 1 (see diagram) and that of wing part 2 and twist those together to create one full wing. Do the same for the other side. - Use black electrical tape to join these wing halves together by wrapping it around the twisted wire sections. You can hide this tape later with ribbon/fur or similar if you wish. - To strap the wings to yourself, you can either tie the center of 2 lengths of ribbon to the central rod (which is the part covered in electrical tape), and then wrap each ribbon around each shoulder/arm and tie in a bow OR you can make 2 loops in braided elastic to fit around your shoulder/arm by sewing the ends together but with an inch or two of one end left free. This excess braided tape can be fed around the central rod and sewn in place to make a loop which holds the elastic in place on the wings. - You can then decorate how you wish with glue+glitter spirals, fabric paint patterns or embroidery for example. If you want to put holes in the material, use a lit incense stick or your lighter to burn the holes. Practice on a piece of scrap material first though to make sure it gives the effect you want. Costume made by Walkabout Wolf - Click here for a close-up of the mask. Cute and fun costume inspired by the movie 'Despicable Me'. An elegant outfit just like the main character in the movie 'Brave'. Insight on how to build the backpack and put the whole costume together. Detailed step-by-step for the Buzz costume. Unbelievable costume which took a year and $2000 to make. Hilarious costume, complete with head fan! Fun cardboard fancy dress from the Pixar movie. With fantastic wings made using a black umbrella. 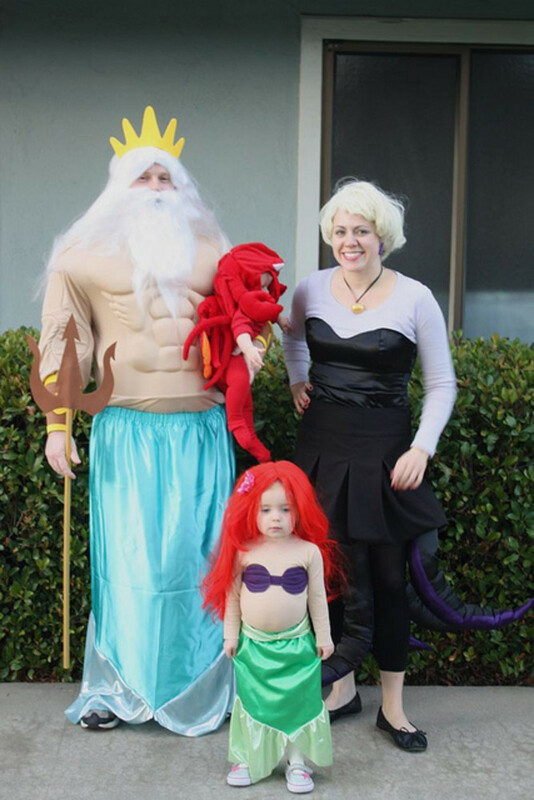 Such an adorable idea for kids dressing up with their dad. Lovely kids fancy dress inspired by Snow White. A very clever use for an umbrella. If you fancy a mechanical challenge, you can make your own cardboard transformer costume - and if it's anything like the ones in the video above, you're bound to get some 'oooh's and 'ahhhhh's from your audience! For mini transformer plans which you can use to scale up and form the basis of your plans, click here. How to put an Alice costume together. Lots of tutorials on how to dress like Frodo, from prosthetic ears to hair feet. 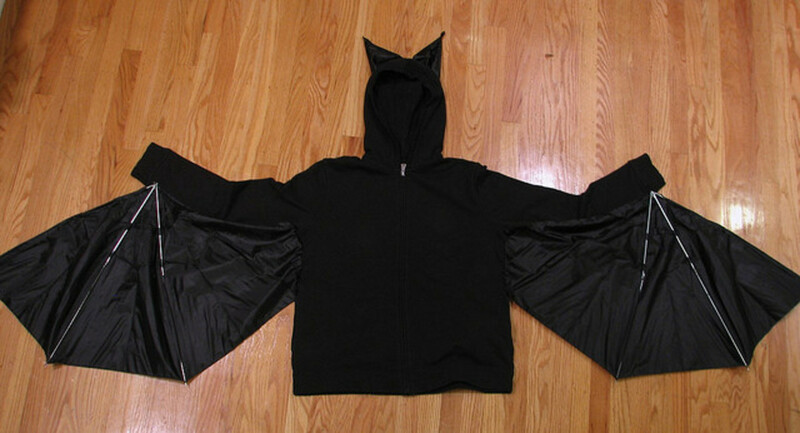 With a hood and big sleeves. Both versions of Willy Wonka. One of favourite ideas, it's so original. Interesting take on the regular Hogwarts uniform. Seriously impressive and amusing toddler costume and vehicle. Ideas for how to dress like many of the hilarious 'Addams family' characters. Dress as the evil witch from Harry Potter - pink and frumpy is the key! The make-up is really where it's at with the Dark Lord. Nice idea for something inexpensive and last-minute. The following links are how-to projects that give instructions on making different props - from hats to claws - which you can incorporate into your overall fancy dress costume. All about the Mad Hatter's hat and how to make one. For your Harry Potter themed party. Template for making yourself one out of card. With a few different options. Impressive costume for the mechanically minded. So you can move like a realistic werewolf! Newspaper wigs are cheap, easy and fun to make. Essential accessories for an armored knight - for less than a fiver! Get a great fit by using a mould of your own face. 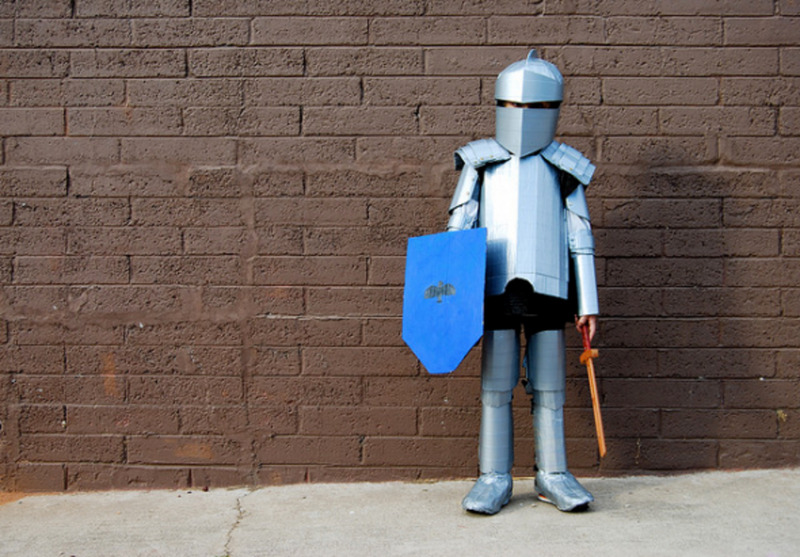 How to make a suit of armour. How to make exciting costumes using rubber foam and superglue. Made from coat hangers and stockings. And see how to make them look like real metal. Fun addition to your outfit. Sugar glass, used for special effects. For adventures in the deep. Using a hat and a feather boa! Made using paper mache and paint. Fun felt hat to make yourself into a monster in an instant. How to make a super long braid out of yarn. Alien masks from the movie 'They Live' for under $15. Donuts, Macarons, Strawberries, Cake & More! Loads of costume ideas...mainly food-themed! Fab for a retro theme. Mad and impractical - but hilarious! Dress like the popular game. A really cool looking costume. For people who really love trainers. Funky costume in the shape of a mirrored ball. 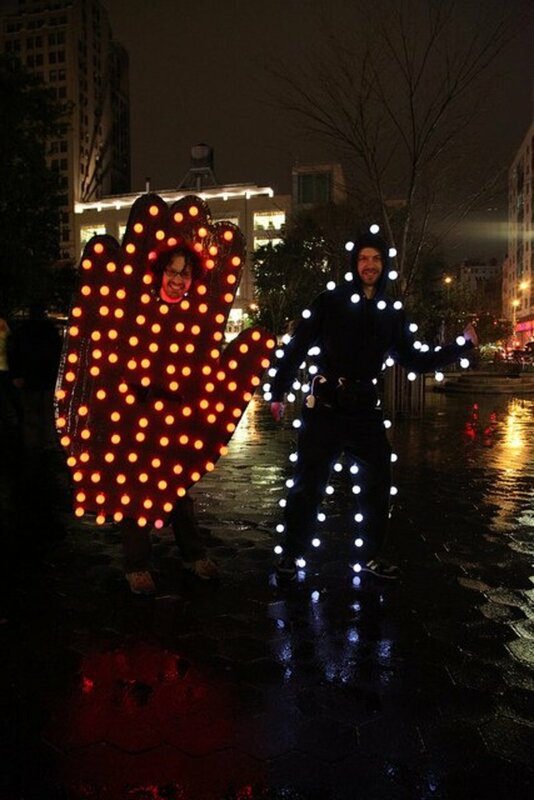 Glowstick costumes are possibly the most simple and ingenious of all costumes, because they are just so effective! You can buy pre-made suits, but I don't see why you can't just make a temporary one with glowsticks attached onto black clothes! More Random Objects To Dress Up As! Great for making people jump! Inventive idea for dressing kids like the iconic cat clock! 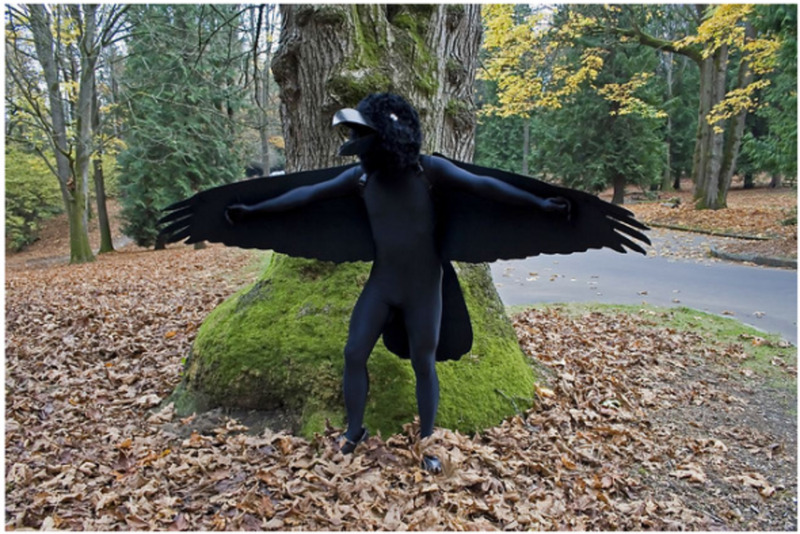 This is probably my favourite costume idea ever - and no it's not photoshopped! Click here for an article written about this costume. Challenging Doctor Who costume with awesome detail. For beer-drinking fans of The Simpsons. Quick and simple costume for last minute panic! Excellent replica of the famous train character. Photo and costume by Lenore Edman. Click here for DIY details. Eye-catching, gory and very effective. Using lots of duct tape. Make a huge mask for a creepy animated character. Amazing detail including branch fingers and a moving eye! Very cute, especially with the beard! Cute and snuggly all-in-one for little kids and babies. 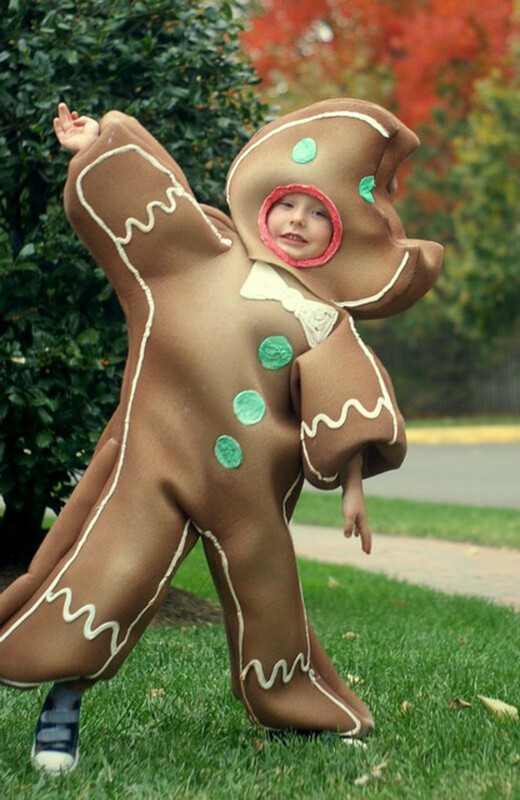 A sweet costume to sew for little kids. 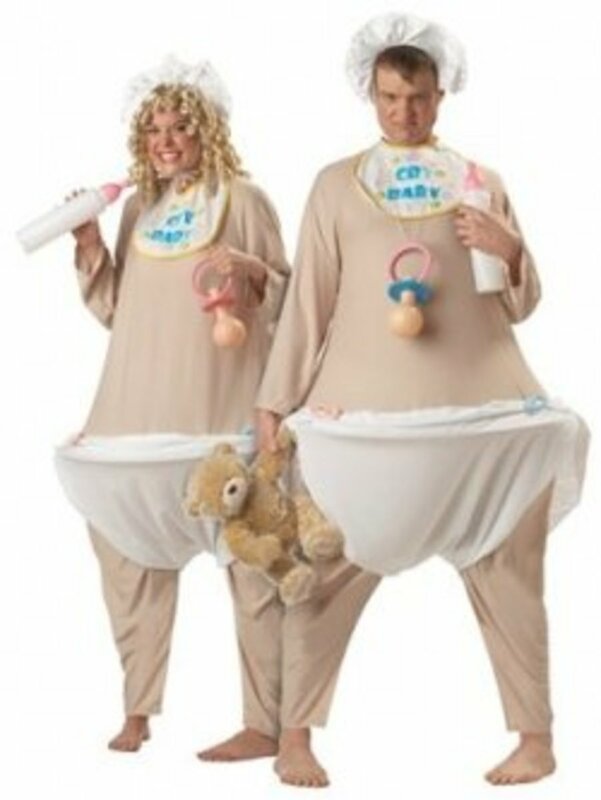 Hilarious idea for baby and dad. Dungarees, caps and mustaches - and voila! Adorable costume which is made from a real care bear. Awesome kids costume with fake weights. An adorable Martha Stewart creation. Funny baby costume, made for only $4. Paper mache Star Wars costume. 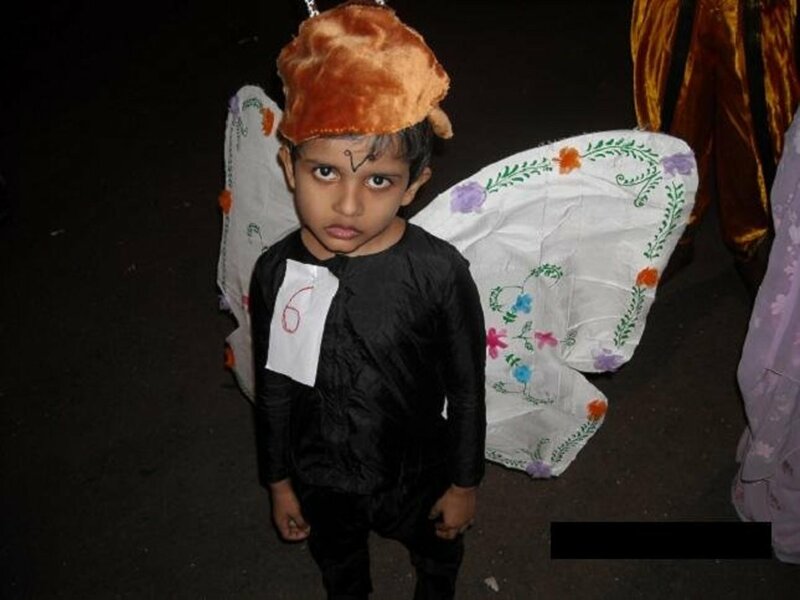 Amazingly realistic costume which must have required a lot of patience. Great for a group effort. Interesting technique for creating futuristic style costumes. Make an impressive Star Wars mask from a milk jug. For a girly sci-fi geek! I love the 8-bit and desaturated costumes so much! Genius costumes from the Teenage Mutant Ninja Turtles show. 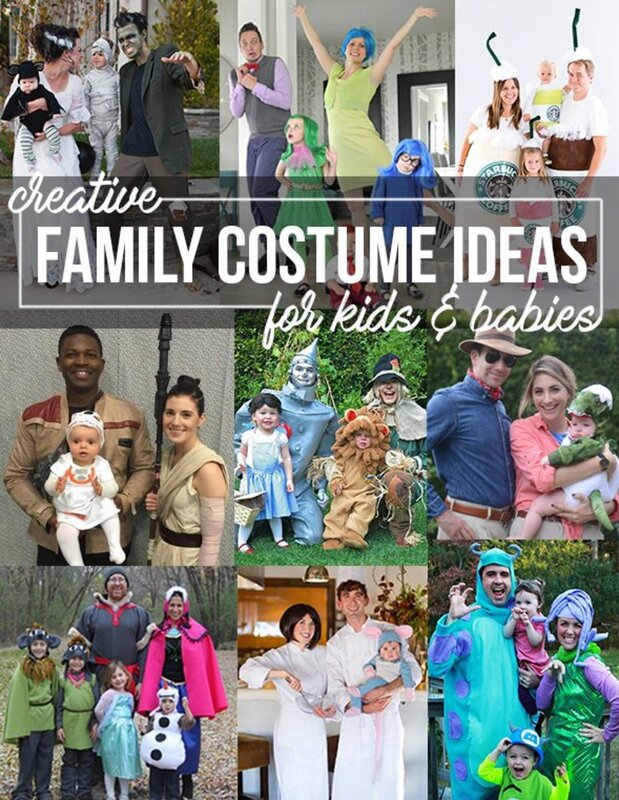 Fab pop culture family or group costume idea. This would be a fun cardboard DIY. Amazing construction, although not exactly a cheap costume. If you want a group costume you could add the ghosts too. Make your own giant yellow head with this fab how-to. With detailed instructions and photos. Huge lists of costumes for 2 or more people. I love the spine t-shirt idea! Crafty handmade costumes for both kids and adults. I especially love the 'Up' costumes - so sweet! Creative and funny homemade costumes. Tutorials for really unique costumes and props. 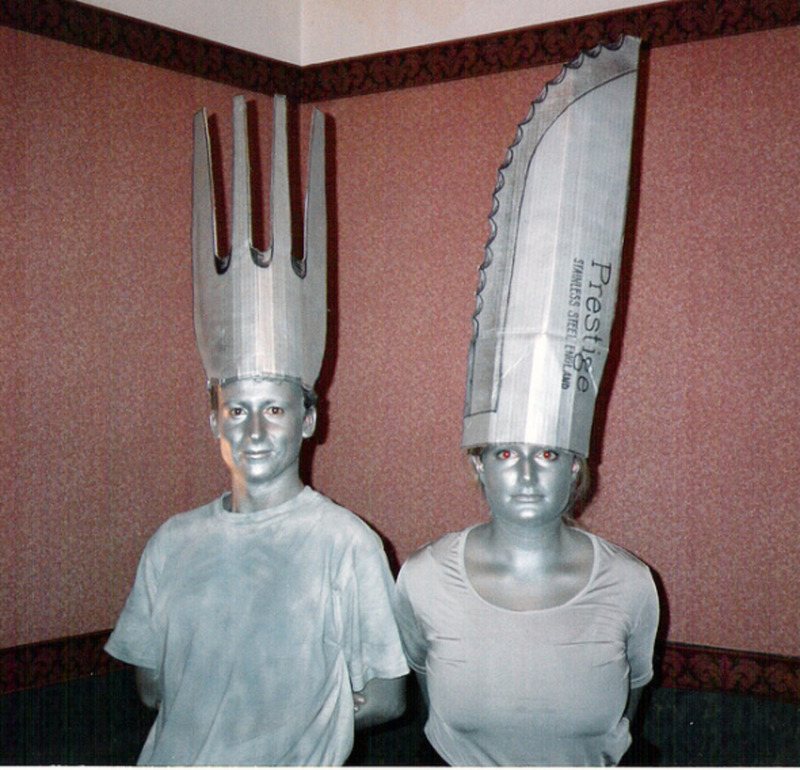 Funny and unusual fancy dress inspiration. Funny and imaginative fancy dress pets. Fancy dress ideas listed alphabetically. With links to costumes you can buy. A huge list of quick ideas for some unique inspiration. Including the rest room sign people and headless Harry Potter! 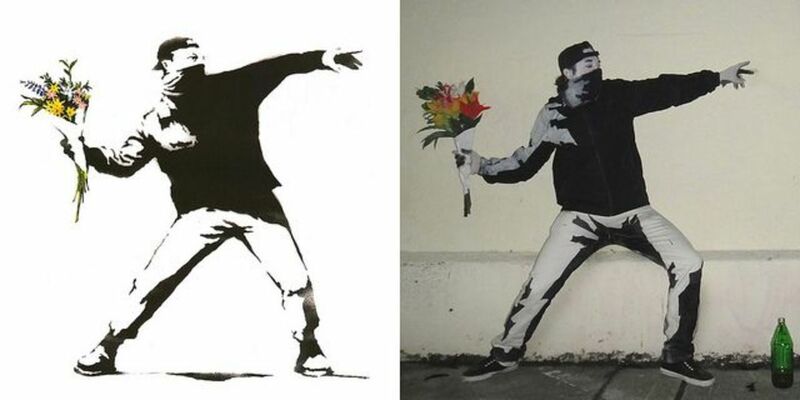 This amazing costume is based on some graffiti art by the famous Banksy, and the costume was made by George Schnakenberg. Including lots of kids ones. Including homemade and shop bought ideas. Lots of DIY projects for Halloween. Lots of original ideas and photo examples. With many you probably won't have seen yet. Browse through for costumes including 'The Birds' and a mousetrap. 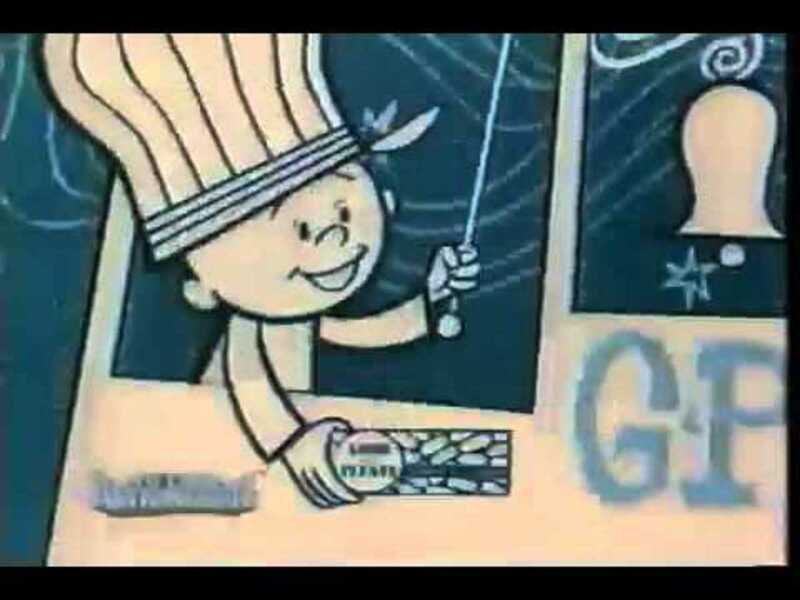 A mime, a sheep, a cupcake and more! Heidi Klum has worn a series of fantastic bespoke costumes. Lots of geek costume ideas - and all cheap to make. Click here and here for more photos and Lichtenstein inspiration. Funny onesie outfit with a fake doll arm attached. 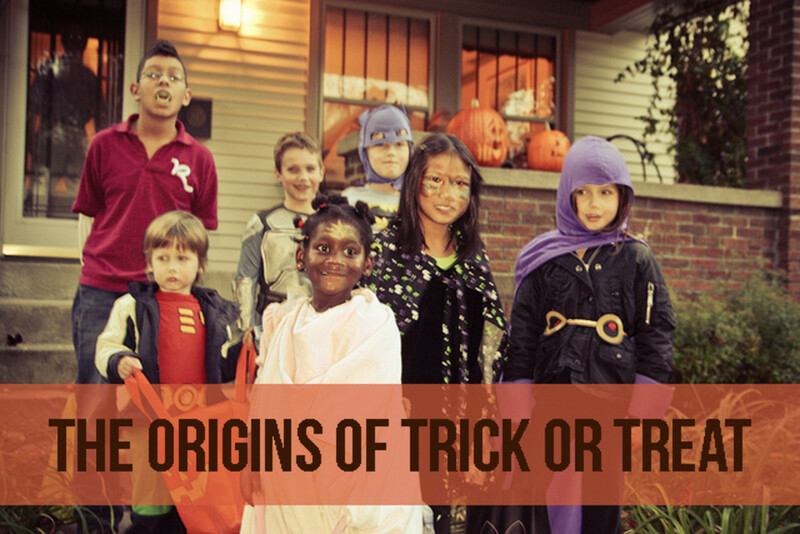 11 costumes for kids including many classic ideas. 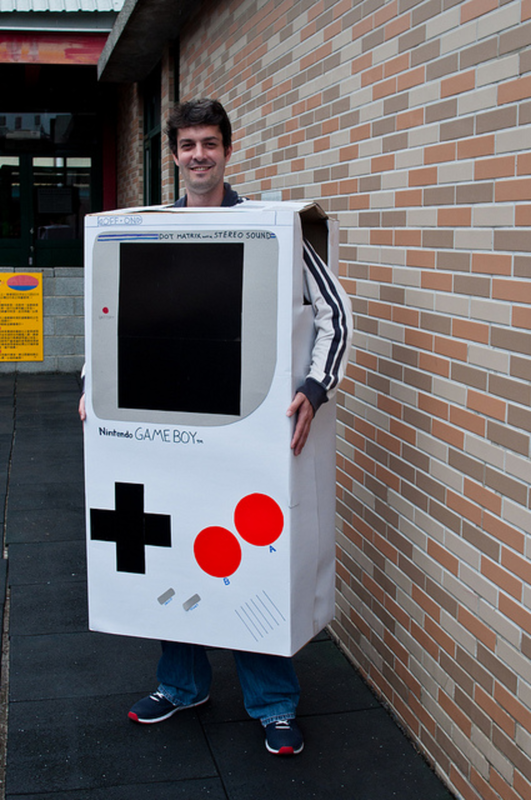 How to make a cardboard box robot costume. Flaming jetpack for a kid's space party. I love the Edward Scissorhands and the Ewok! Photo and hat by Lenore Edman - Click here for a tutorial. I love the molar made of pillows! 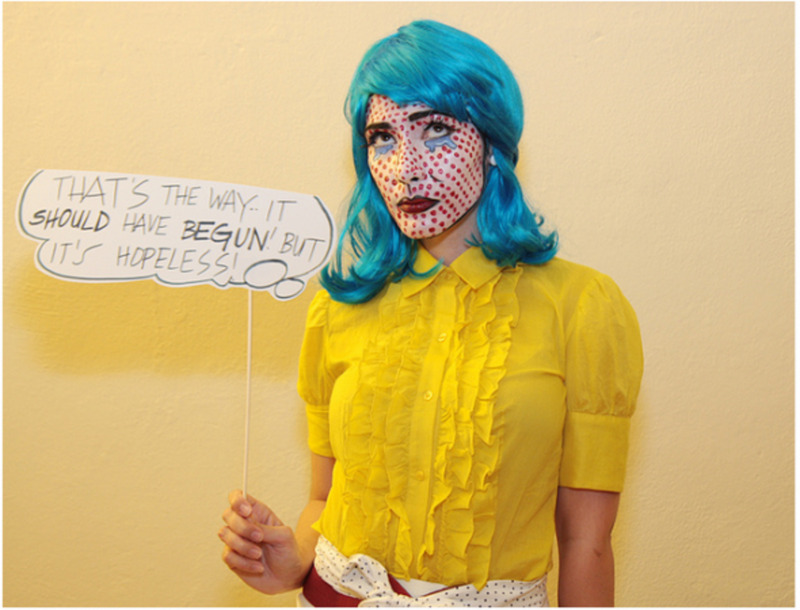 Amazing pop art costume and make up. A video how-to for dressing like the legendary creature. Grown-up costume without going full-on princess! Please Comment On My Lens! Ok in a dilemma, HELP please my daughter wants to be the traffic/walk sign costume can anyone suggest what size lights might have been used here. These are really cute costume ideas. My grandchildren want to dress up for hallowe'en. Some fantastic ideas here. I must say that all these halloween costume ideas are really good and I will also pick one of these to make one for myself. I like the Jellyfish and Medusa. The "Little Mermaid" family is a crack up! Adorable. Great ideas here. Great lens!! I will make sure to share this with some friends, spreading some love. Wow! Some of those Halloween costumes are really funny! It was great fun to read your lens! Wow! I really appreciate the creativity of this lens in terms of variety of costumes--with bonus points for DIY instructions! Well done. 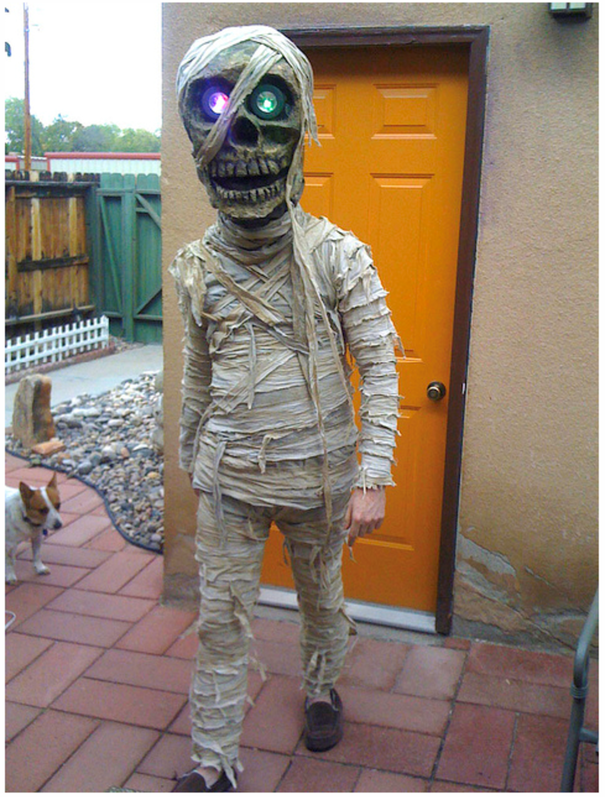 That mummy costume would scare anyone. What a lot of unusual costumes! Some very cool costumes. I think I might like to try the medusa costume. I also liked the raven. Thanks for the help! Oh, my word!!!!! What a surprise. I was actually at the Halloween party with the people wearing the Jack Skeleton and Sally costumes that you showed in your lens!!!!! Photographer extraordinaire Jesse Draper is my friend (he is the one wearing the Jack costume.) Small world in Halloween Town! Come visit me at my porch for some free trick or treat music. I would go for a halloween mummy costume which can be terrifying when you open your mouth 360 degree wide with that make over. Very cool, I love the Medusa! these are crazy. The sock puppet monkey is creepy, but awesome. Some of these are so very clever I had to go back and look at them again. Haha, I loved the Game Boy one! 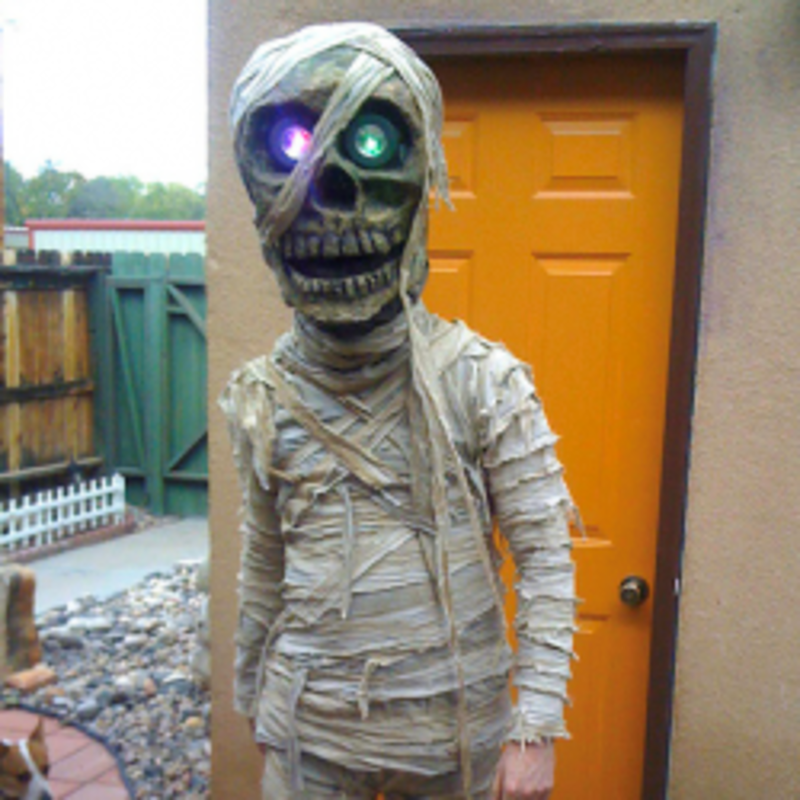 I really liked the mummy costume. It's so much fun to make your own costume! Though it's sometimes hard to think of ideas you like. These are all very clever and creative. I love your lens, such creativity is very inspiring. I'm selling one similar to that roller coaster costume on eBay right now, which I used on a high school charity Day, it went down really well!! I really like the Mad Hatter and Nightmare before Christmas Costumes! Can't believe that the weeping angel is a costume. She could have been a statue. I absolutely love the desaturated Santa.... Stunning lens, love the novel ideas... thank you so much for sharing! Really inspirational ideas, love the desaturated Santa. Fabulous video on the mad hatter costume - that is going to help SO much for the costume I'm making my son. Thank you! Thank you! Thank you! Wow, this is a huge resource! Thanks for all the super ideas. Thanks for so many awesome ideas, time for me to start making a costume! Some great Ideas! Love the variety you have gathered. Great ideas! I love them. Fantastic lens! Great ideas. Thanks for sharing. I highly enjoyed this lens.. Keep up the good work!! 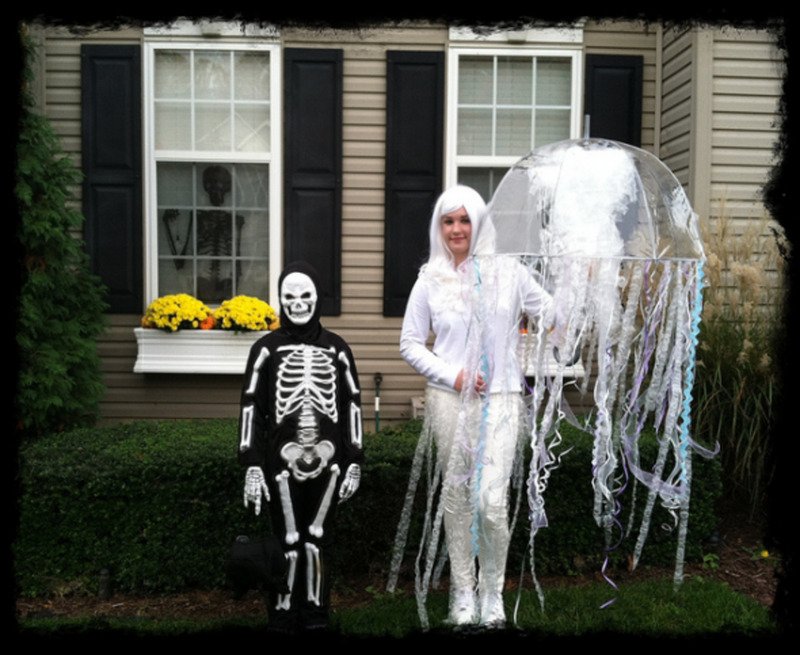 Great collection of DIY costumes -- so creative! oh my word look at the length of this! This is by far the best DIY Halloween Costume lens! Great job!!! Love the creative ideas you have in this lens! Well done! A simply amazing lens! Great ideas and very well done. Thanks! These are really amazing, I totally love the grey santa one, really unique and yes it does look photoshopped, brill! Love the pictures. Some ideas you have here. Wow, so many great ideas! I love the angel - so realistic! Awesome Costumes, just came back to bless your lens. Cool lens! Loved the rollercoaster costume the most! My younger daughter wants to make her own costume this year. I have this lens bookmarked! Thank you! Oh my goodness!!! There are some very unique costumes here! Thanks for the great ideas! Neat! Cant' wait to try! Have some fun costumes. Congratulations. This is an absolute treasure of a resource, for ideas and links to some really ingenious costumes. Like it very much, and bookmarking it. These are very impressive. I'm bookmarking it for when I have some time to actually try some of these. Thanks for the instructions. Bit help here. This is such a great lens! I have always been a big fan of DIY projects, and Halloween is just another opportunity to show my DIY skills. Great read! I love the homemade costume ideas! I always had homemade costumes for Halloween when I was a kid, and there's no reason to stop as an adult! I love all the pictures you've found, too. these are some good costumes of Halloween thanks for this lens! I love this unique take on Halloween costumes. I will never see costumes the same way again. Great lens. I love this Halloween lens! WOW WOW WOW!!! Thanks for Halloween ideas. Wow, what a cool lens... I don't what I like best you've given me ideas for years to come - thanks!! These costumes are AMAZING! A bit out of my craft abilities and for that I am VERY jealous! Love all your costumes! The mummy is so good but the comic book girl is a big WOW ! What a lot of costumes! Not only great for halloween but for any dress-up occasion! Love this lens! I liked the roller coaster costume the most. TFS! 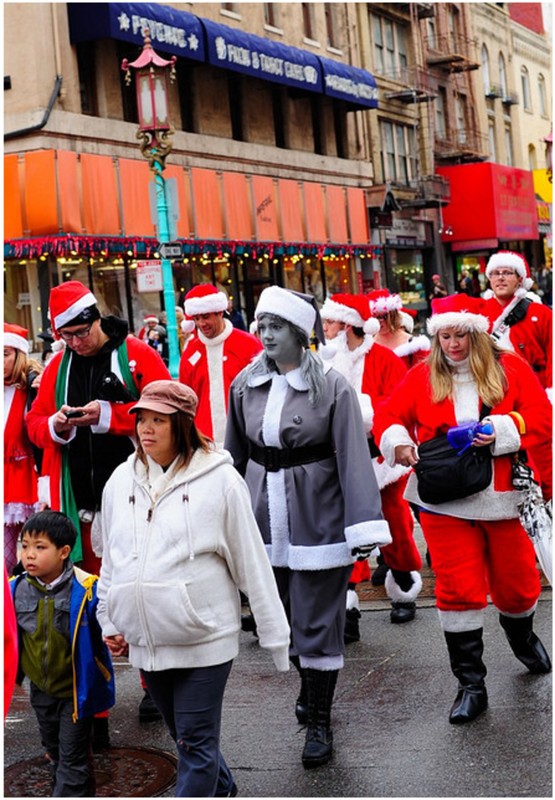 So you're saying that the grayed out santa...that girl is just naturally gray? No way that could be photoshopped right? Right.